As we continue to improve upon the living situation in our guest house, where we are living now, construction continues daily. Our driveway leading up to the main house pad. 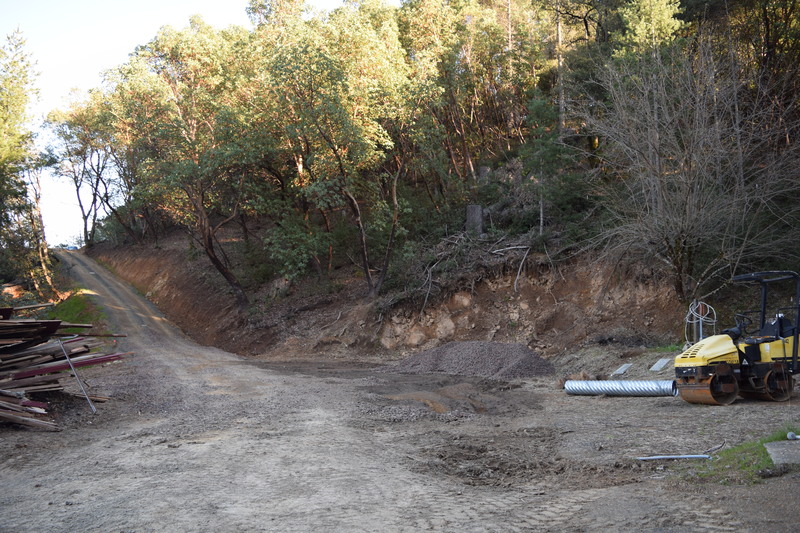 Unfortunately I don’t have a photo of what the hillside looked like previously, but basically you can imagine that it looked like the hillside to the right of the driveway with all those trees. 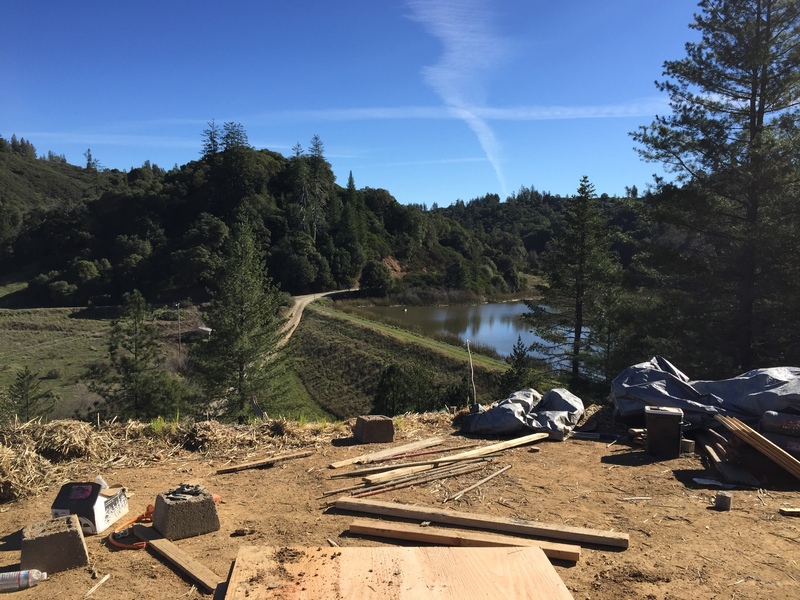 I remember when Stephen suggested the site for the main house and I couldn’t visualize it because the hillside was so steep and covered in trees. 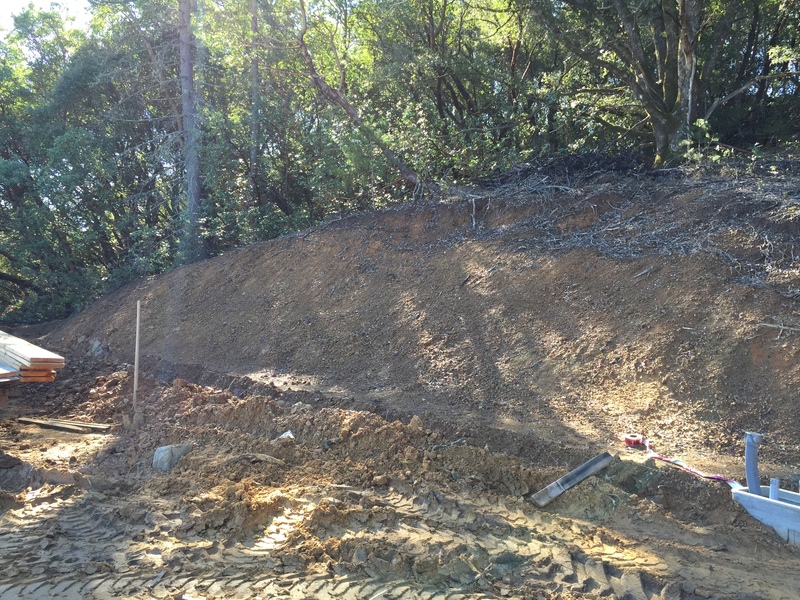 It’s really amazing what an excavator can do! 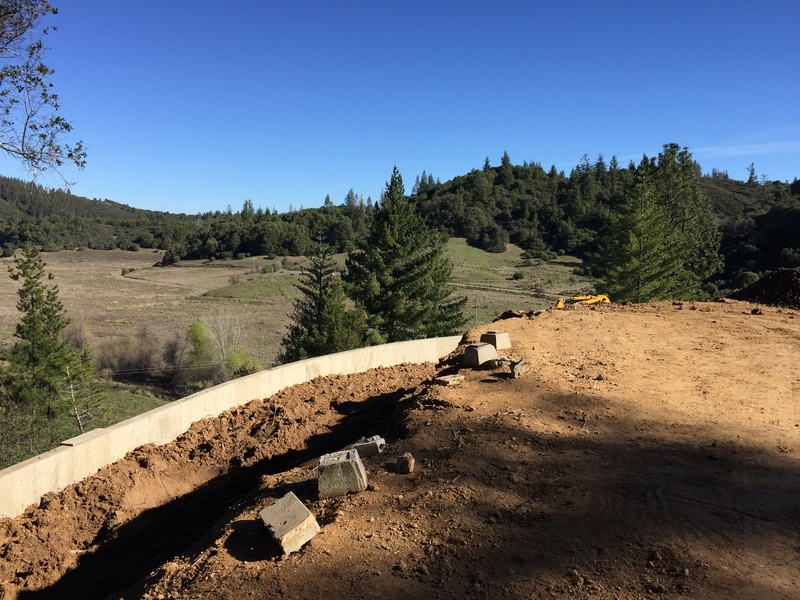 View of retaining wall from main house pad and valley below. View of the lake and main gate from building site. From main house pad looking towards hillside (aka back of house view). Looking down the driveway at garage below. 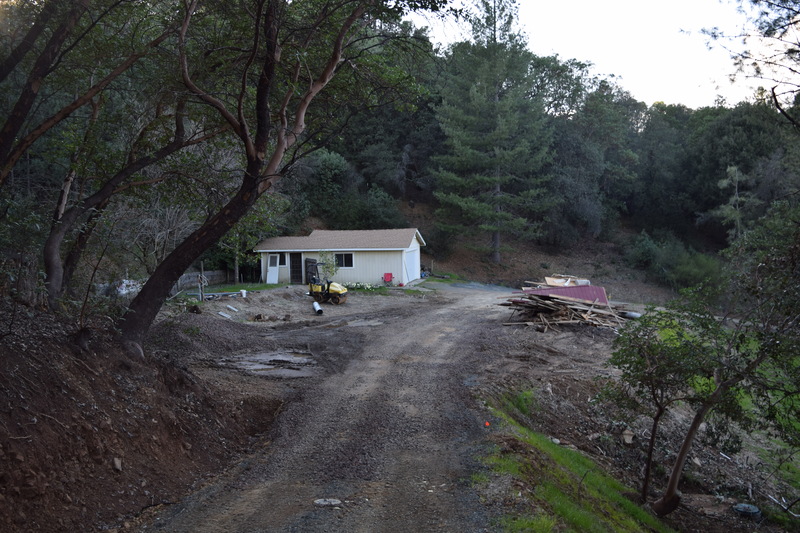 Initially we were going to build our main house in relatively the same location as the manufactured home, that was on the property when we bought the land, which was right next to the garage. 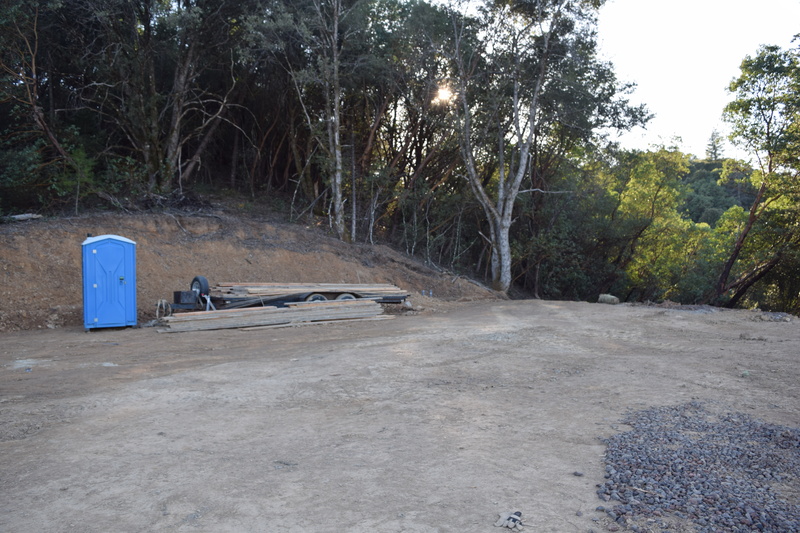 We realized after a time that that spot does not get much sunlight year round so we moved the building site higher up on the hill that was cleared. We kept the garage standing which presently we use for storage space. 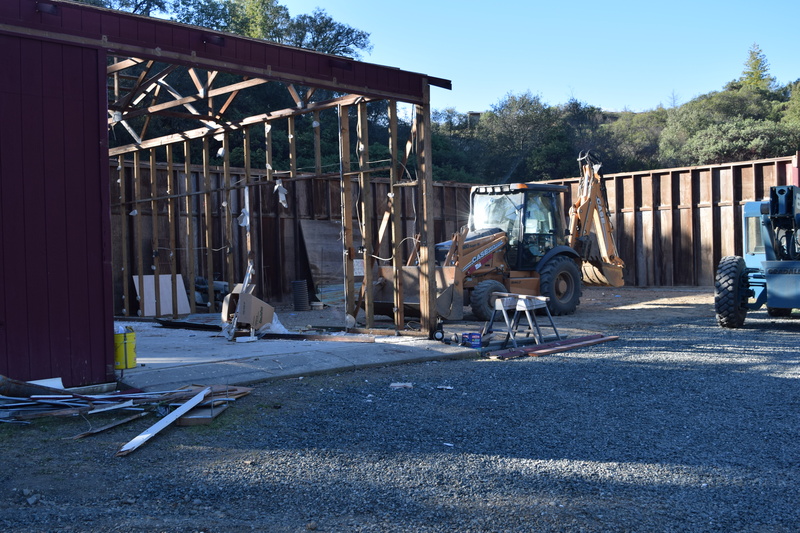 In addition to the recent completion of the retaining wall behind the guest house and the retaining wall for the main house, Stephen’s workshop and shed is getting remodeled. Below to the left was where Stephen did all his woodworking. His saws and man tools now take up residence in the barn for the time being. 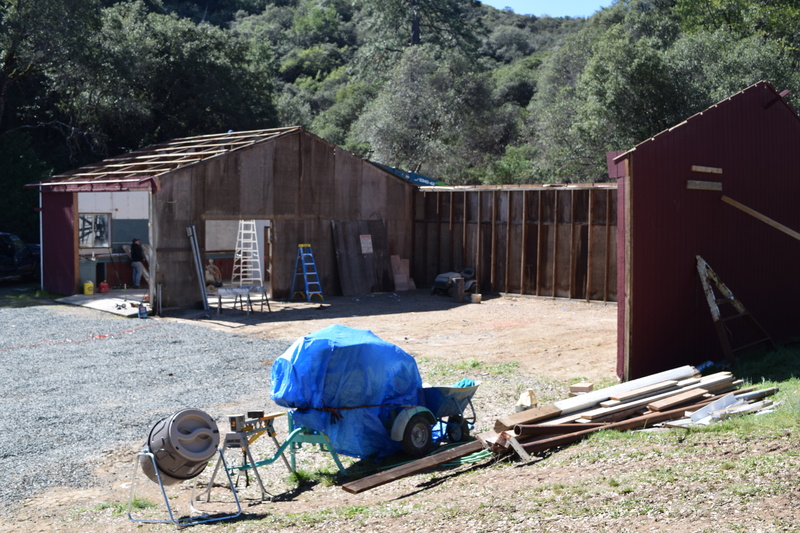 We plan to add a concrete floor to the shed and make it into a guest room with a bathroom so that we can have visitors come stay with us before the main house is built. And of course Stephen’s workshop will get spruced up a bit (no more leaky roof). Stephen’s workshop and shed without a roof or walls. Bare bones of the shed.